John Killoran is CEO of @Pay, a exciting new fundraising technology that makes it easy for people to donate in two clicks from text, email, web and social media sites. John pioneered SMTP payments and has been a major innovator in the mobile payments space for the past 5 years. When he is not running a company, he is cooking food for his family and telling his dogs to stop barking. These days it seems as though you can’t walk 5 feet without seeing someone texting, tweeting, or checking their email on the go. Mobile phones have become our constant companions, and as such, there’s hardly a moment we’re really alone. Whether you’re fundraising for school or raising money for your local church, one thing’s for sure: more donors than ever before are on the go. It’s time to catch up with them with these 5 simple strategies. 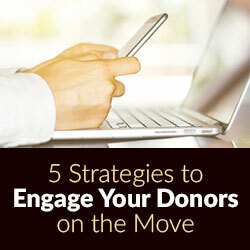 Read ahead to gather all 5 tips for engaging more donors on the move! Long gone are the days when texting involved using T-9 (and pressing actual buttons). These days, texting is a natural part of most people’s daily routines. Because texting is such a popular, widely used mode of communication, it has also become a great way for nonprofits to raise extra funds. They’re easy to launch. All it takes is finding the right mobile fundraising software platform for your organization. They are accessible to donors of all shapes and sizes. Contrary to common misconception, texting is not just a young man’s game. Everyone everywhere loves to stay in touch by texting. Texting to give is quick and simple. In some cases, all it takes is one or two clicks to give to your favorite charity. There are so many reasons to launch a text-to-give campaign, but chief among those reasons is that it’s a fabulous way to reach thousands of donors on the move. Did you know that the majority of people who click on your nonprofit’s website are probably doing so from their mobile phone or tablet? That’s why it’s absolutely crucial that your mobile website works just as well on a 3×5 inch screen as it would on a traditional computer screen. Get rid of any clutter that you may have on your website. This means removing any extra-long chunks of text or unnecessary explanations. Replace some of your text with pictures. The saying, “Pictures are worth 1,000 words” really rings true when it comes to mobile website design. Make your donation button sing loud and clear. Place your “Donate Now” button on every page, and make sure it’s a bright, noticeable color like red or electric blue. If you follow these simple steps, you’ll be well on your way to creating a mobile website that invites casual clickers to stay and donate. Studies have shown that mobile email is actually one of the best ways to reach people on the go. Those who were surveyed reported that they check their personal as well as their work emails up to 27 times a day! Nonprofits tend to overlook email fundraising as a viable option for raising more money from donors on the go, but those organizations are definitely missing out. Using captivating images to tell your story. Nothing sells a cause quite like an action shot of your nonprofit’s good work. Choosing the optimal time to send out a request. When you send an email is just as important as what that email says. It’s never too late to get started strategizing a mobile email fundraising campaign. #4. Create a Crowdfunding Page On the Go! Crowdfunding campaigns are another terrific way to reach more donors who are constantly going, going, gone. Filming and editing an impactful video that demonstrates your organization’s goals. Make sure that it’s long enough to tell the whole story but not so long that someone would lose interest. Setting up a crowdfunding thermometer. Crowdfunding thermometers are stellar motivators because they track progress as well as ultimate goals. Making your crowdfunding page easily shareable. Facebook is a mobile crowdfunder’s best friend. There are several ways to use crowdfunding to boost your nonprofit’s mobile donations. Look into mobile crowdfunding sooner rather than later. Even though this list is in no particular order, we’ve saved one of the best techniques for last. Peer-to-peer fundraising, also known as P2P, gets your nonprofit’s biggest supporters and advocates to do the heavy fundraising lifting for you. By enlisting the help of your organization’s key influencers, you’re able to reach upwards of ten times as many potential donors as you might have otherwise. With P2P, those key influencers reach out to their personal social networks (family, friends, coworkers, etc.) and make donation pleas on your behalf. The answer is using all 5 of these techniques over time to reach as many nonprofit donors as possible! The term “mobile fundraising” gets tossed around quite a bit. You’ll hear it at your nonprofit’s board meetings. It comes up in casual conversation. And it’s certainly all over the internet. But in all of these instances, rarely does anyone offer any solid definition or actionable advice around mobile fundraising the way they do with other fundraising ideas. That’s exactly why we gathered the basics of mobile fundraising right here: from A-Z. First things first: what is mobile fundraising? Mobile fundraising, simply put, is the raising of money using the technology that’s built or incorporated into smartphones and tablets. Mobile email fundraising, which is much like traditional email marketing, except that it reaches donors on the move. QR code promotions, which invite donors to scan a code using their smartphones. The code will lead the donors to an information or donation page. 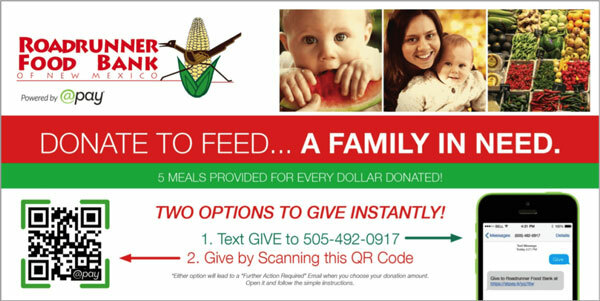 Text-to-give campaigns, which allow donors to give using the existing texting app on their mobile devices. 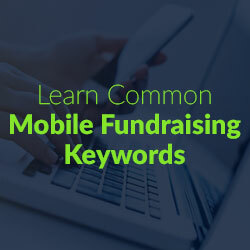 What are some common mobile fundraising keywords? Mobile-responsive: A website that is mobile-responsive is one that works just as well on a mobile device (smartphone or tablet) as it does on a laptop or a desktop. Text-to-give: One facet of mobile fundraising, text-to-give involves donors texting a donation amount to a specific number and following the subsequent steps to complete their contribution. Tokenization: While this term is not specific to mobile fundraising, it is an integral part of the process. Tokenization is the transforming of private information (credit card numbers and other identifiers) into a code that can only be read by the payment processor. It’s important to know about tokenization because it’s a large part of how mobile fundraising keeps donors safe. What is the difference between mobile fundraising and text-to-give technology? As you can see, texting to give is just one small part of the whole that is mobile fundraising. Some nonprofits see them as interchangeable, but the truth is that mobile is so much more than texting. Is your organization ready for mobile? Now that you have some of the basics down, it’s time to start asking yourself if mobile fundraising is right for your organization. It can be a great tool, but if you’re not ready to incorporate mobile fundraising into your overall strategy, you might not end up using it to its fullest potential. What are my typical donors like? Would they be open to donating on the go? Do we have the necessary resources to launch a mobile fundraiser? Who would be in charge of handling the fundraiser? How could my organization benefit and grow from something like this? These are by no means the only questions your nonprofit needs to ask before you get started. They’re merely meant to be a jumping-off point for more serious discussions. 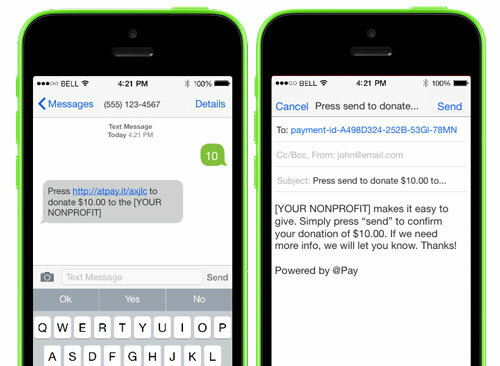 What types of nonprofits use mobile fundraising technology? Essentially, every kind of nonprofit can benefit from mobile fundraising. Arts and culture nonprofits, like symphony halls, art museums, and historical preservation organizations. Animal rights societies, from shelters to national agencies. Disaster relief foundations, both international and local. Educational nonprofits, from support groups to policy advocates. Environmental preservation groups, from local efforts to global conservation funds. Faith-based organizations, such as churches, synagogues, and mosques. Health and wellness organizations, like hospitals, research funds, and awareness nonprofits. 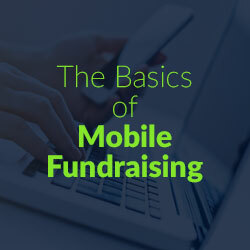 As you can see, from A-Z, all different types of organizations tap into mobile fundraising. There you have it! All the basics you need (plus a little extra info for good measure). The hope is that with a more solid foundation, you’ll feel more confident when it comes to thinking about launching your own mobile fundraising campaign.